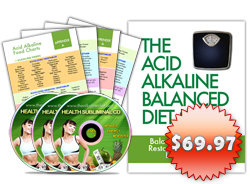 A good of source of alkaline diet are fruits and vegetables. 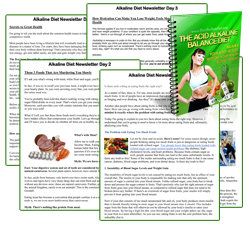 Acidity levels are abundantly found in a variety of fruits and vegetables. 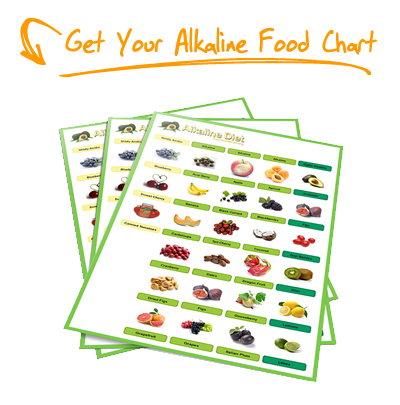 In fact, they are the highest sources of alkaline among the food groups of meats, poultry, nuts, cereals, and dairy, which are common fare for the average human being. But for most people, eating fruits and vegetables in their freshly picked state, can sometimes be monotonous, bland, and boring. One of the ways in which we can make fruits and vegetables more delectable and consumable is to juice them. In liquid form, fruits and vegetables can easily be mixed to add flavor to, be kept in the chiller for future consumption, or simply to make it easier to swallow. Indeed, juicing has become a very viable and trendy alternative, especially for people who are on-the-go. But what exactly are the different methods used for juicing and the necessary equipment needed to achieve juicing satisfaction, not just for fruits, but also for vegetables. It is a common practice to toss fruits into a blender and to get juice out of it. But this is not traditionally so for vegetables, which needs close scrutiny on what can be used to be turned into juice. There are four general types of juicers available in the market. The most simple and rudimentary is the manual press juicer. Renowned more for its economical thriftiness than its juicing capabilities, the manual press juicer is crude and sometimes tiring or yields too slow, but it gets the job done. The centrifugal juicer on the other hand is called as such because it uses high speeds and circular motion of blades, rotors, on whatever material applied. The spinning motion grinds fruits and vegetables into a juice that tends to be more on the pulpy side. However, the high speeds of a centrifugal juicer results to the oxidation of the juice. Oxidized juice tends to taste metallic, and has a brown, rusty colorization. A juicer that is superior to the manual press juicer and the centrifugal juicer both in terms of convenience and quality is the masticating juicer. Working at low speeds, it masticates fruits and vegetables by grinding them. This results in the prevention of oxidation, making the juice more exquisite. However, if the subject is about juicer superiority, then without a doubt, all three previous juicers are forced to bow to Hurom Slow Juicer. The Hurom Slow Juicer maximizes the principles of a masticating juicer. In fact, it would be same to presume that the Hurom juicer is the next generation juicer. Boasting a higher yield of juice from both fruits and vegetables, with better flavor, and is most of all, free from foaming and oxidizing. The Hurom Slow Juicer uses two phases composed first of crushing the fruit or vegetable into a pulp, secondly squeezing the juice more silently and more economically than any centrifugal juicer ever could. A Hurom Slow Juicer occupies less space than any of the previously existing juicers available in the market today. Perhaps the best feature of all that a Hurom Slow juicer has is it is practically self-cleaning. All you need to do is to pour water, and the Hurom Slow juicer is easily and quickly rinsed, ready to juice the next batch of fruits and vegetables. So what are you waiting for? Order a Hurom Slow juicer today, and find out what the future of juicing is like. Is there any dealer of Hurom Slow Juicer in Italy? Or in Paris? Or in Bruxelles? @Bruno Felluga : We are not too sure about that, but maybe you can try Amazon? It really depends whether they will ship it to you from US.